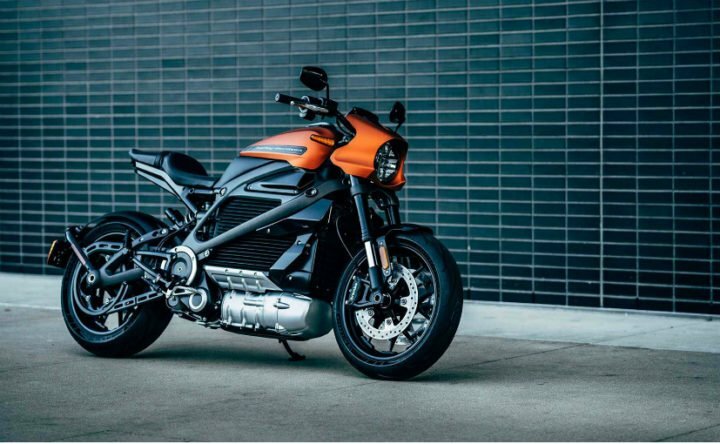 Harley Davidson LiveWire Electric bike has been unveiled globally. Harley has announced that this electric bike will launch globally, sometime in 2019. The production version of the bike has been unveiled so it would be similar to the actual bike. In 2014, Harley Davidson had showcased the LiveWire project globally. That time, the concept was showcased. Now, the production-ready model of Harley Davidson LiveWire Electric bike has been unveiled globally. In July 2018, HD had talked about its product plan in India. In this product plan, a sub-500cc motorcycle, street fighter motorcycles, cafe racers and electric bikes developing for India were announced. The Electric bike is likely to launch in August 2019 for the global markets. In India, we can expect in 2020-21, when most of the Electric vehicles are likely going to enter the Indian markets. It will come with all the latest futuristic features like Bluetooth connection, LED lighting and more. No other details of the Electric bike are available yet. It is estimated to get a 7kWh battery pack with electric powered, oil-cooled motor. These specs are taken from the concept form, which was showcased earlier. The power output is estimated to be around 75 BHP and roughly 69 Nm of torque. The estimated top speed on the Harley Davidson LiveWire is around 150 kmph. Since it is going to a futuristic bike, it will get all modern-day technology. Expect LED headlamps and tail lights, an LCD color display screen, different riding modes, Bluetooth smartphone connection for calls, navigation, music and vehicle diagnostics. It might also get premium features like Auto headlamps, clip-on handlebars, and more features. For braking, it uses Brembo double disc brakes in the front and a single disc unit at the rear. For suspension duties, it gets fully-adjustable Showa suspension with upside-down forks in the front as well as in the rear. It will also get dual-channel ABS. Since it is an electric bike, it will come with a single-speed transmission. That means, no gearbox and its lever. When we talk of the design, it is something unusual that you might see. In the front, it gets the headlamp cowl, which is somewhat similar to the Street 750. It looks like a street fighter with all the cuts and creases. Also, a different swing arm is seen on the production bike. Definitely, the riding will have to sit in proper dedicated position as seen from the foot pegs, which are placed a little above than the usual position. Also, you would not find a gear level on the side. Lastly, the global launch of Harley Davidson LiveWire is likely in August 2019. So, HD would not launch it in the Indian market, until a lot of EVs are already successful. So, we expect it to launch anytime in 2020-21. Since its a Harley Davidson, expect the price to be much high in comparison with regular HD bikes.